A three Judge Bench of the Supreme Court of India has referred the following 11 Questions relating to the National Court of Appeal for the consideration of the Constitution Bench. 1.With access to justice being a fundamental right, would the said right stand denied to litigants, due to the unduly long delay in the disposal of cases in the Supreme Court? 2.Would the mere increase in the number of judges be an answer to the problem of undue delay in disposal of cases and to what extent would such increase be feasible? 3.Would the division of the Supreme Court into a Constitutional wing and an appellate wing be an answer to the problem? 4.Would the fact that the Supreme Court of India is situate in the far North, in Delhi, rendering travel from the Southern states and some other states in India, unduly long and expensive, be a deterrent to real access to justice? 5.Would the Supreme Court sitting in benches in different parts of India be an answer to the last mentioned problem? 6.Has the Supreme Court of India been exercising jurisdiction as an ordinary court of appeal on facts and law, in regard to routine cases of every description? 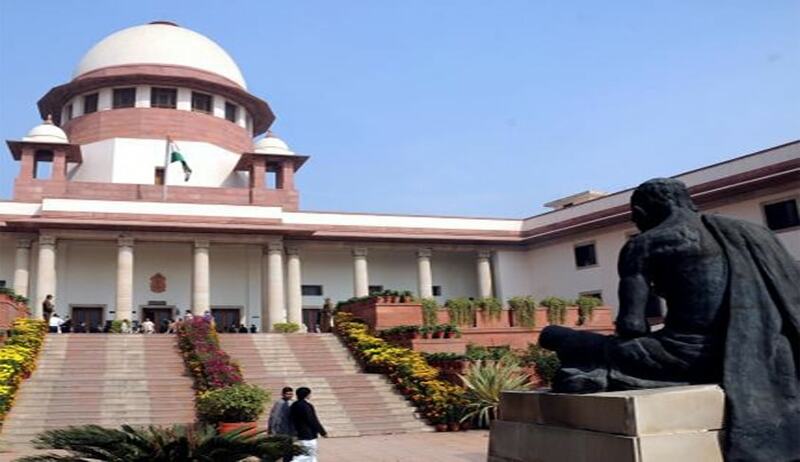 7.Is the huge pendency of cases in the Supreme Court, caused by the Court not restricting its consideration, as in the case of the Apex Courts of other countries, to Constitutional issues, questions of national importance, differences of opinion between different High Courts, death sentence cases and matters entrusted to the Supreme Court by express provisions of the Constitution? 8.Is there a need for having Courts of Appeal, with exclusive jurisdiction to hear and finally decide the vast proportion of the routine cases, as well as Article 32 petitions now being decided by the Supreme Court of India, especially when a considerable proportion of the four million cases pending before the High Court may require review by a higher intermediate court, as these judgments of the High Courts may fail to satisfy the standards of justice and competence expected from a superior court? 9.If four regional Courts of Appeal are established, in the Northern, Southern, Eastern and Western regions of the Country, each manned by, say, fifteen judges, elevated or appointed to each Court by the Collegium, would this not satisfy the requirement of ‘access to justice’ to all litigants from every part of the country? 10. As any such proposal would need an amendment to the Constitution, would the theory of ‘basic structure’ of the Constitution be violated, if in fact, such division of exclusive jurisdiction between the Supreme Court and the Courts of Appeal, enhances the efficacy of the justice delivery system without affecting the independence of the judicial wing of the State? 11. In view of cases pending in the Supreme Court of India on average for about 5 years, in the High Courts again for about 8 years, and anywhere between 5-10 years in the Trial Courts on the average, would it not be part of the responsibility and duty of the Supreme Court of India to examine through a Constitution Bench, the issue of divesting the Supreme Court of about 80% of the pendency of cases of a routine nature, to recommend to Government, its opinion on the proposal for establishing four Courts of Appeal, so that the Supreme Court with about 2500 cases a year instead of about 60000, may regain its true status as a Constitutional Court? In the reference Order, the Bench headed by Chief Justice Thakur held as follows: “It is not in dispute that the Supreme Court was never meant to be a regular court of appeal. It was meant to exercise its powers under Article 136 of the Constitution only in cases which raised important questions involving interpretation of the Constitution or questions of general public importance or questions of constitutionality of State or Central legislations or those raising important issues touching Centre-State relationship etc. The jurisdiction may also have been available to the Court where it found gross miscarriage of justice or an error so outrageous as no reasonable person would countenance. The power to interfere was not meant to be exercisable just because prolonged argument would eventually reveal some error or irregularity or a possible alternative view on a subject that did not cause any miscarriage of justice of a kind that would shock the conscience of the court on the subject. The long line of decisions of the Court to which we have made reference earlier supports that view. The fact, however remains that the filing of cases in the Supreme Court over the past six decades has grown so sharply that the Judge strength in the Supreme Court is proving inadequate to deal with the same. Statistics show that more than 3/4th of the total number of cases filed are dismissed in limine. Even so, the dismissal is only after the court has applied its mind and heard arguments which consume considerable time of the Judges. Dismissal of an overwhelming number of cases has not and does not discourage the litigants or the member of the Bar from filing cases. That is why the number of cases filed is on the rise every year.